JIPL through CDEnviro has the perfect solution for tankered wastes. The technology is ideal for commercial operators and councils who process and recycle tankered wastes. Pollution and waste is an ever growing problem today. Councils and companies are constantly looking for new ways to reduce and recycle wastes and reduce landfill volumes. JIPL is always on the lookout for the most innovative products worldwide and have found this in overseas partner CDEnviro’s cost effective and simple way of dealing with tankered waste. Use of an S:MAX plant will cut costs and clean up sites. CDEnviro have developed the DMax Grit and Rag Removal system to provide an efficient, cost effective solution to the problems associated with high waste disposal costs and increasing regulation. D-Max systems for the treatment of Trade Wastes are currently in operation in some of the largest utility companies in the world. 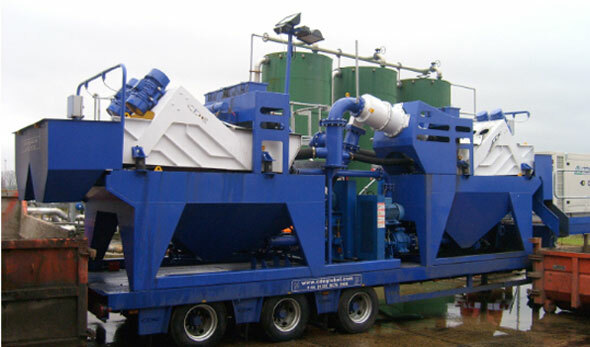 These systems have proven to reduce wastes to landfill by up to 70% and also have the potential to recover materials for a variety of further uses – these include recovery of sand, grit and gravel for use as recycled aggregates as well as the recovery of organic materials for use in electricity generation (UK). The treatment process can be broken down into three stages with the overall focus of the DMax system being on the recovery of all recyclable materials and the minimisation of the final waste to landfill volumes. 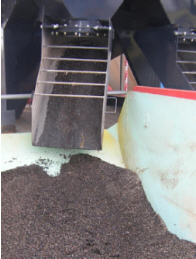 The raw waste is delivered to the DMax and is fed directly onto the first side of the split, high-frequency de-watering screen where rag, plastics and any other oversize material is removed into a skip via rubber lined chutes at the end of the screen. The contents of this skip represent the material that is destined for landfill as it is of no commercial use or value. The wastewater and grit material falls through the polyurethane screen deck to a collection sump and is then pumped to the second treatment stage, which involves the waste slurry passing through a specially configured hydrocyclone, where fine silts and clays are removed. At the third treatment stage the slurry is discharged from the cyclone onto the second side of the split dewatering screen where the grit is dewatered. This material is then discharged into a second skip at the end of the screen and it is this material that can provide a new revenue stream for DMax customers. The dewatered grit material can be sold as recycled aggregates, suitable for a number of applications. Prior to the introduction of a DMax system, all waste material, including a large volume of water, is usually sent to landfill. With the DMax system, the water is removed from the waste and returned to the waste water treatment process, thus having a significant impact on not only the volume of material going to landfill but the very nature of the material. This system is available as a fully mobile trailer mounted unit or a static plant.